Packing Size: 22.05" x 70.08" x 3.15"
Designed to keep 6 to 32 brochures at the same time. It can be used in; stores, galleries, banks and various other locations. 4 wheels are optional, not included in the original pack. When used with 4 wheels it can be easily moved. 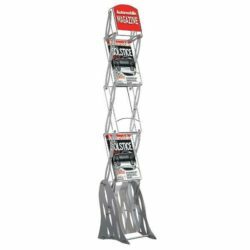 This brochure display stand is double-faced model. Transparent shelves are made of 3/16 inch (4 mm) acrylic. The leg is made from aluminum. 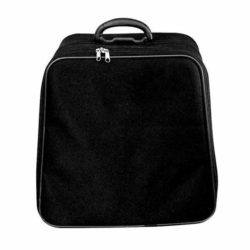 Product is packed unassembled with an easy-to-understand instruction sheet & fixing set. 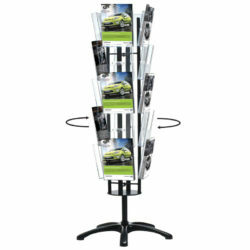 The literature display stand has eight double acrylic pockets that can hold almost any size pamphlet and literature. The deep pockets of this acrylic literature display stand allows you to collocate the magazines and standart size literature while the four pockets on both sides are drawing attention of the people passing by on either side. 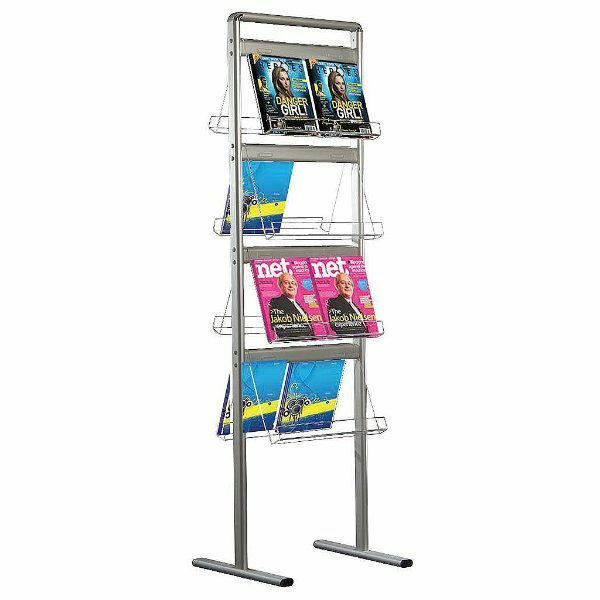 This literature display stand can also hold the large format catalogs or even heavier literature from books to manuals and on in addition to that, the acrylic literature display stand has a support arm to prevent the heavy weight from pressing down the shelves. 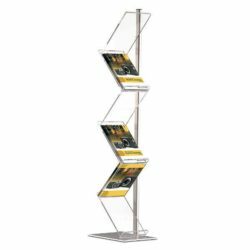 With its “channel” design this acrylic brochure display stand frees you from the limited standart designs and allows you to adjust the shelves according to your own taste and need. 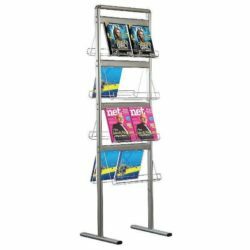 Please note that this acrylic literature display stand is designed only for indoors use. 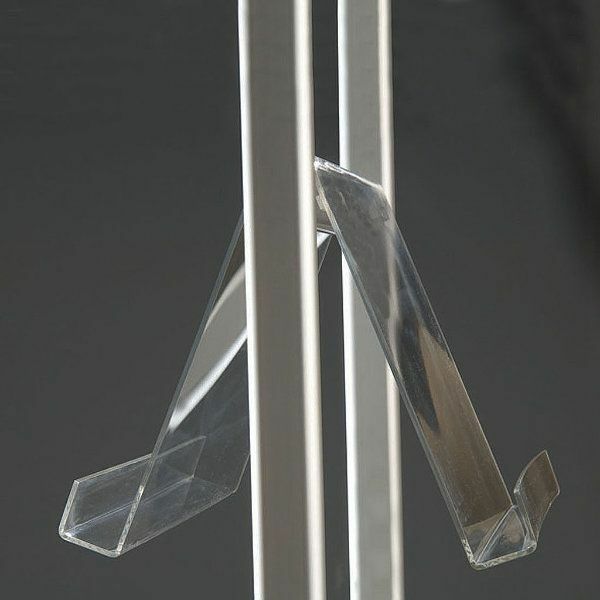 Transparent shelves are made of 3/16 inch (4 mm) acrylic. Knocned down light weight delivery provided with fixing set. Very easy to set up. Works perfectly for the workplace. A bit on the heavy side to carry.